10 June 2018. 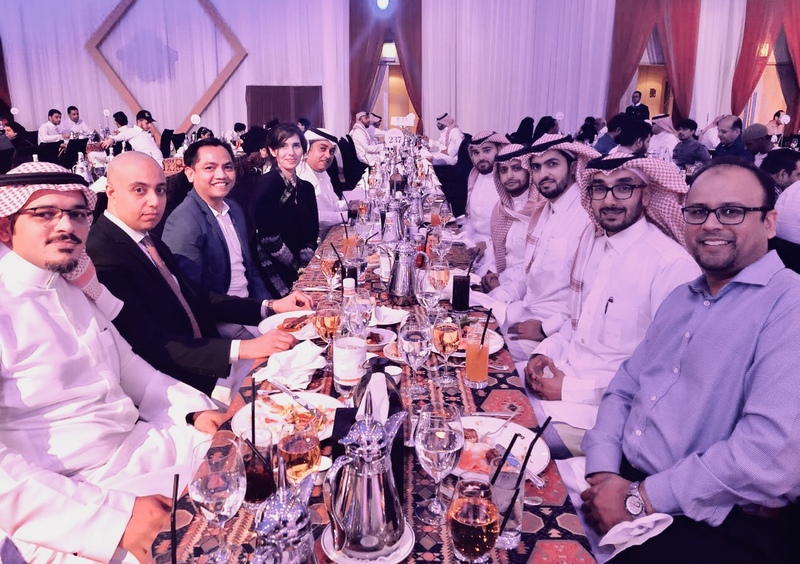 The Saudi Chapter of the Middle East Investor Relations Association (“MEIRA”) hosted an Iftar on the evening of the 10th of June 2018. The event was organised at the Al Faisaliah Hotel and was generously hosted by Almarai. Investor relations (“IR”) professionals, from prestigious companies such as Almarai, Ma’aden, Sipchem, STC and Tadawul gathered to break the fast and to discuss the latest developments in the investor relations domain. The Saudi Chapter of MEIRA is actively promoting investor relations best practice to the Saudi IR community, by organising a series of workshops, awareness sessions and training sessions during the year.